I finally started my lists in my List Journal yesterday. The first prompt, “What I love about Fall” and the second one “Books I have read and loved” are below. 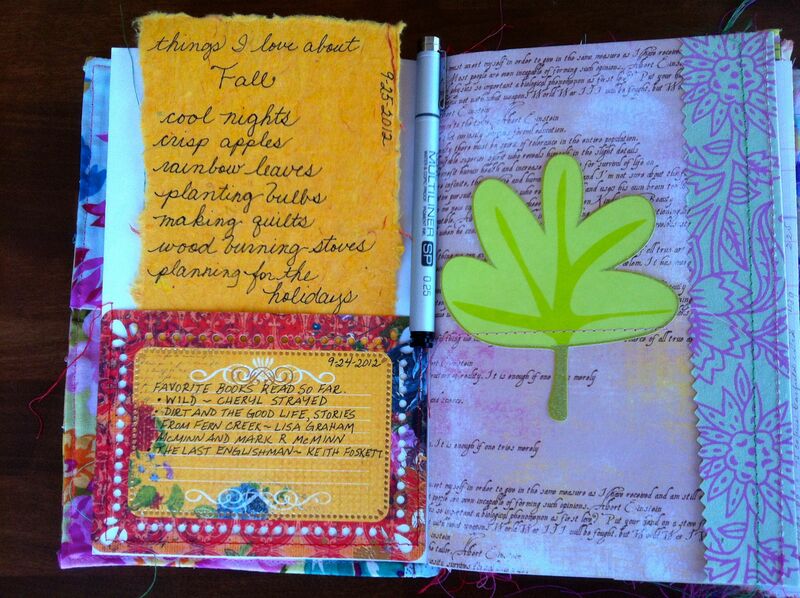 I thought that I would shy away from writing in the journal because I was saving it for “something special”. Guess what, once I put pen to paper, it felt great. So if you are waiting to write in that favorite journal, Just Begin!!! Number 1 and 3 are about the journeys of people that have thru-hiked the Pacific Crest Trail. I am fascinated with the possibility of hiking the Oregon portion of the trail next summer with my kids. I am in the very early stages of planning that now. I will add to this list as I continue to finish the stack that is next to my bed.